It’s not often that true innovation genuinely comes along. So when it does, it’s natural to sit up and take note. Step forward new nail brand Little Ondine. I have a love-hate relationship with polish. 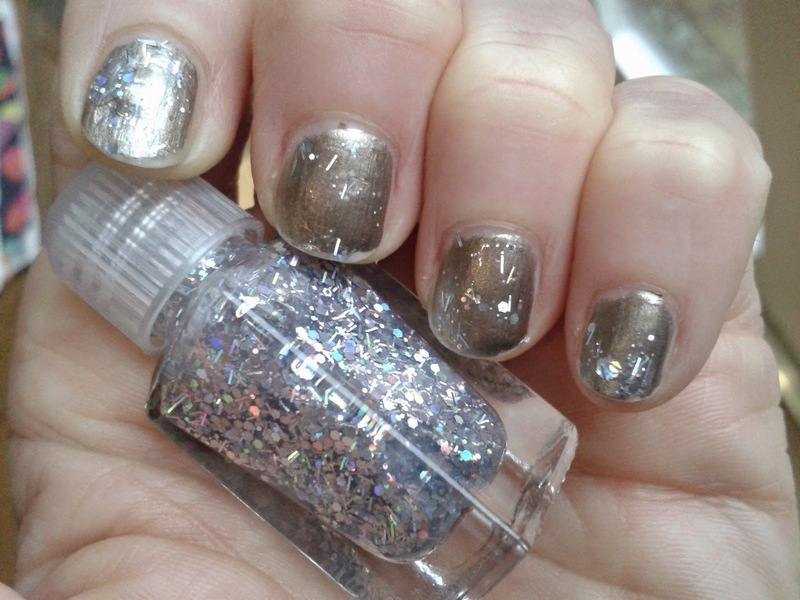 I enjoy adding a seasonal colour to my nails, and sometimes a lick of glitter on top to glam it up. But I hate the way it smells (the acetate in varnish has a repugnant odour), it nearly always chips (even with a bottom and top coat, I find), and it’s fiddly to remove (especially glitter). 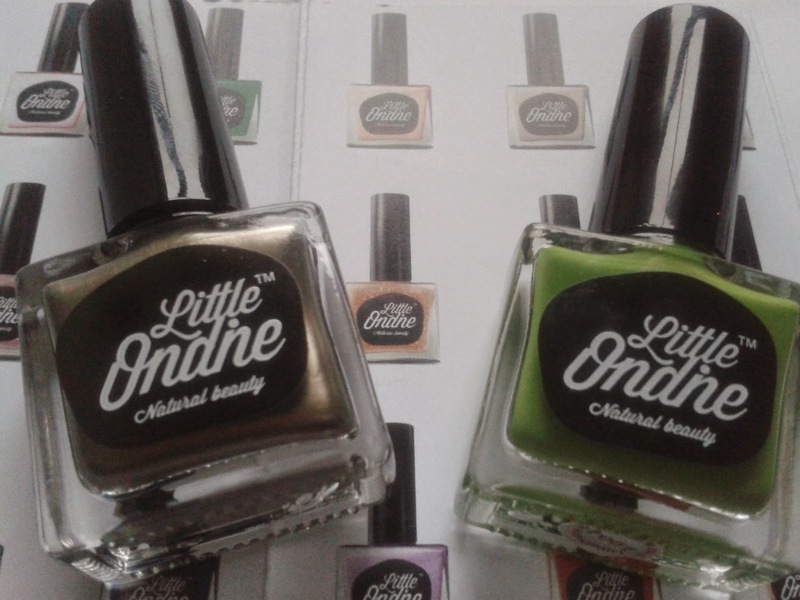 Well, this month sees the launch of Little Ondine with a line of polishes that kick those three pet hates squarely into touch. 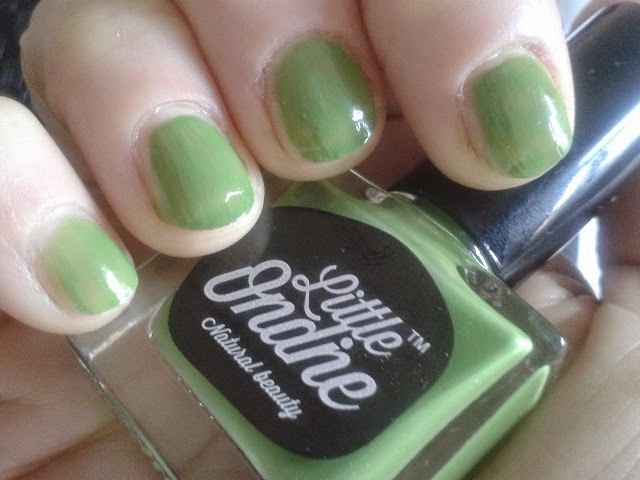 I first read about Little Ondine a month or so ago on British Beauty Blogger. I was immediately struck by the idea of polishes that are remover-free, odour-free, and made from all natural ingredients (resin, organic colourants and water). 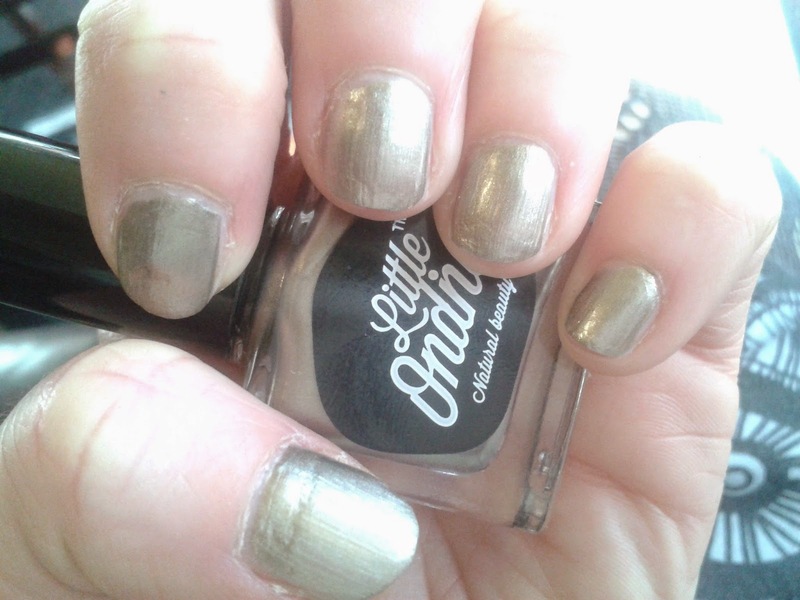 Little Ondine recently got in touch to ask if I wanted to try out some of the new polishes, and I have been doing exactly that for the past few weeks. There are 80 different colours in the launch range. I chose four to sample: Envy L904 (green), Ibiza L072 (orange), Mr Sandman L014 (metallic gold, above) and Pop Rocks L028 (glittery silver). I’m going to focus on Mr Sandman (my favourite of the four) and then swatch the remaining three. The glass bottles are a pretty design and have long stemmed handles which make them easy to hold. Once I’d unscrewed the tops I had a good sniff inside and , indeed, there really is no smell! When I first caught sight of the polish, though, I wasn’t sure I was going to like the texture. It’s really viscous (in fairness, the other samples less so) and leaves a trail behind as you lift the brush out of the bottle (see above), so you need to be a little careful when doing this. My fear was that the polish would splodge on the nail. But it doesn’t. It actually glides on smoothly and evenly. Mr Sandman is a nicely pigmented polish too. You could get away with just the one coat, though two gives a better finish. Now, to the clever bit. Throw out your smelly nail polish remover. You’re not going to need it. These polishes peel off! That’s right. To remove you simply lift up an edge and gently pull it back. The polish will peel off in one piece! There’s no annoying bits of polish left behind and you could, if wanted, apply a different shade immediately, without having to re-prime the nail. The peel off nature of these polishes means they don’t chip. But you do still have to be a careful wearing them. 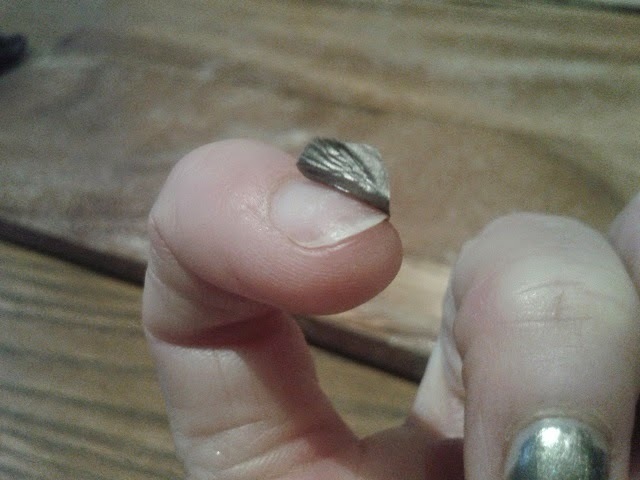 I lifted up an edge a few times by accident – I’m not the World’s most careful nail polish wearer! Having said that, catch it quickly and you can temporarily smooth it back down. 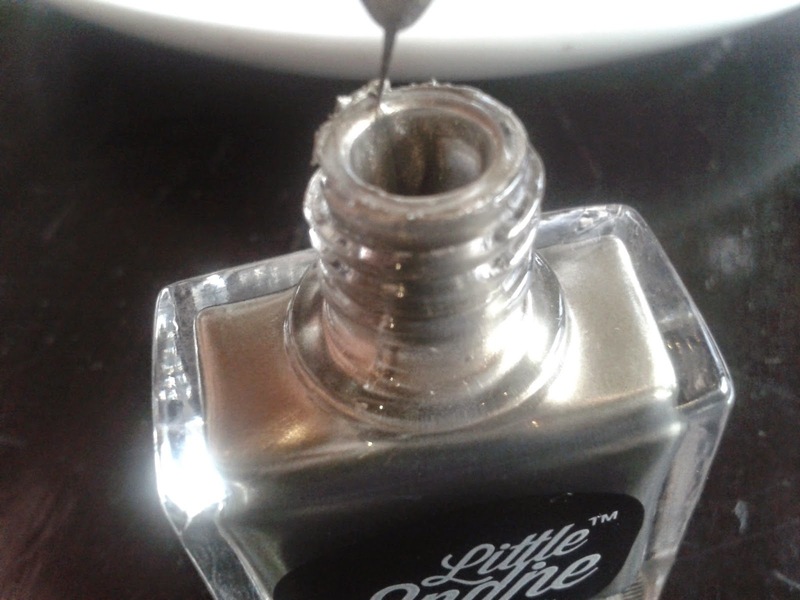 Little Ondine say you should get a week’s wear from the polish, though recommends using a top coat (its own is called Little Ondine Secret). I’m genuinely impressed with these polishes. They address some big nail polish bug bears. Little Ondine polishes launch this month and cost from £7.80 each for singles. Twin packs (containing two mini bottles) are also available for £12. 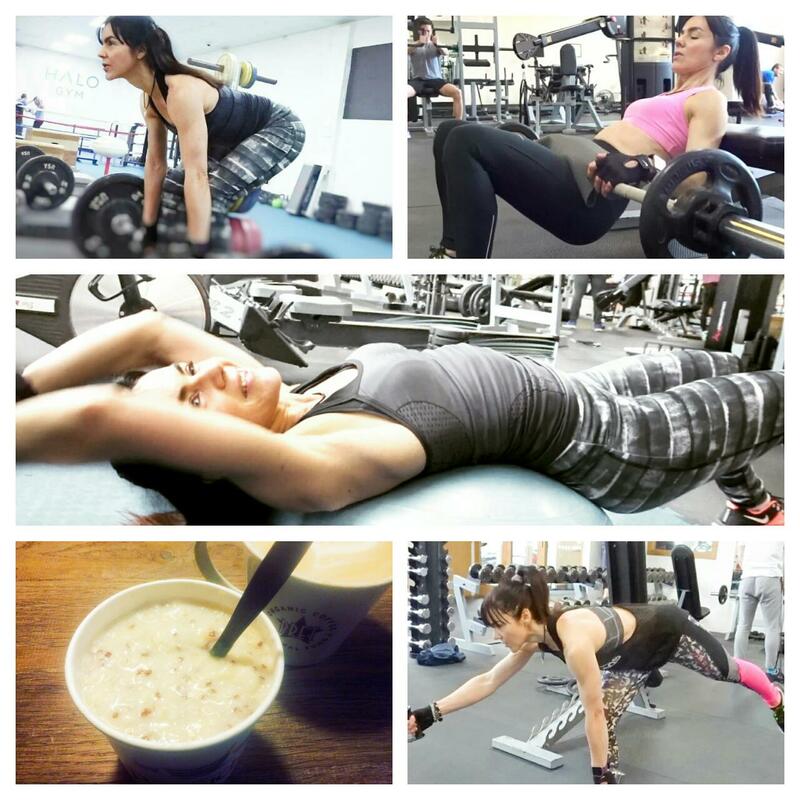 More on Little Ondine. Little Ondine is offering Face Up Beauty readers 15% off purchases with a minimum £15 spend until Sunday 22/03/2015 (23h59). Use code at checkout: FACEUP15. Note: I am not earning any commission of any kind via this offer. Never heard of peel of nail varnishes since I was a young girl! Great idea though! Wow! They have beautiful colors and the peel-off part is what really got me! I also have a love-hate relationship with nail polish... just because after one day it really chips, if not the same day. 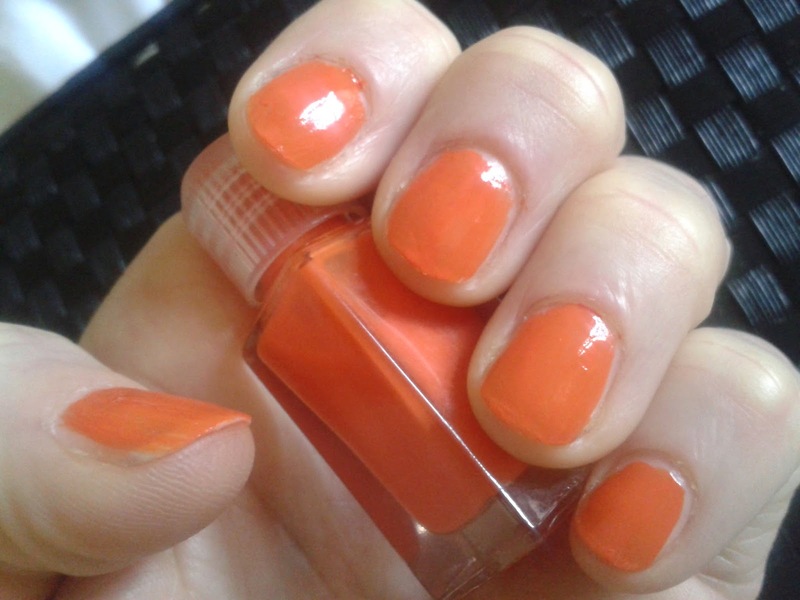 I then started to use a top coat that is incredible! But peeling-off seems even better! Wow- that's genius! I had no idea that a polish like this even existed, let alone came in 80 shades! I love the metallic one. Think I'm going to have to try these!